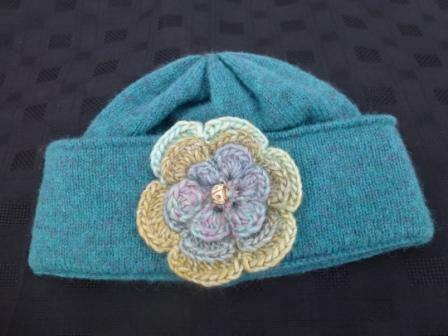 I make a variety of craft items including hats and accessories hand-crochetted in a soft acyrlic/wool blend, machine knitted & hand-finished knitted hats, greetings cards with my own photographs and venetian glass earrings. These are all available from craft markets, few carefully-selected craft shops as well as online here. sorry, there's no current events I will be attending with my work but keep looking and I'll keep you posted! 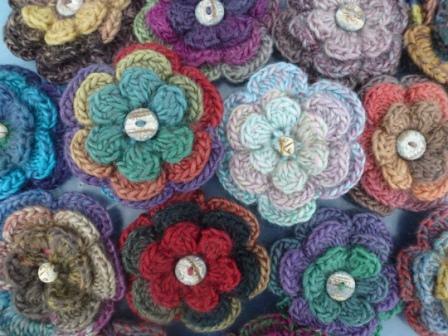 Hand crocheted brooches in a randomly-dyed variegated acrylic/wool mix. 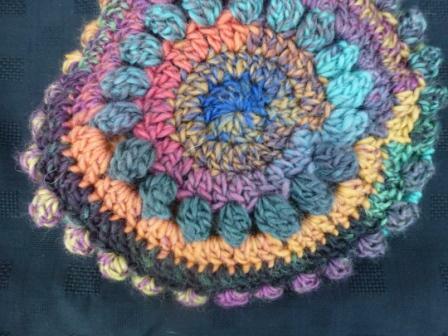 No two brooches will ever be the same - in fact even two brooches made from the same ball of yarn will be different! Ideal pinned onto a coat, jacket, hat or other accessory. £6.95 including postage (to UK addresses only). Hand crocheted in an acrylic/wool blend. 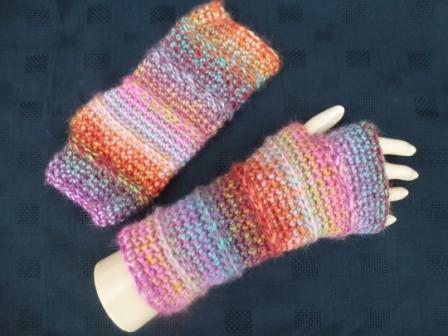 These are made in a variegated yarn so no two pairs are ever the same. In fact it's impossible to even get two mitts the same so the right and left gloves will be slightly different. 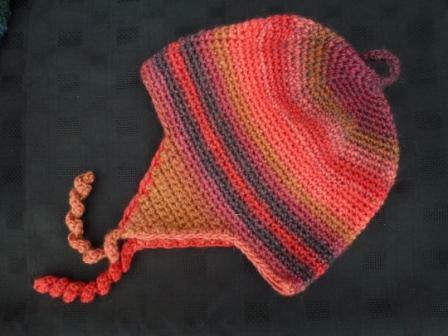 Unisex earflap hats hand crocheted in a 70% acrylic/30% wool blend. 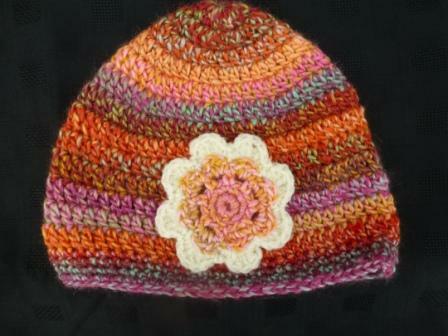 Flower beanie hats hand crocheted in a 70% acrylic/30% wool blend. Click on the photos or the links to take you to a page showing the colours I currently have in stock. Click on the photo of any item to see it larger. You can pay for items via PayPal and I'll post them out to you. All prices include postage TO U.K. ADDRESSES ONLY where applicable. If you would like me to send any items overseas or have any queries then please drop me a note using this link and I will work out the postage for your location and get back to you.